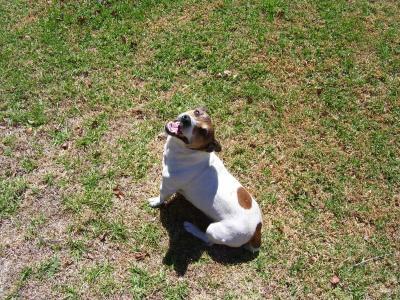 This is Russel, he lives in Cape Town South Africa, im sure his the naughtiest Jack Russel in South Africa, he likes to play with his soccer ball and to fight with the German Shepherds next door. He loves children and he is very playfull and loveble. Great dog! My daughter was in Cape Town 2 weeks ago and said it was the nicest place she has visited and she is currently on a trip around the world for school so she has seen many places.